This is a super fun and fast project with lots of sparkle for the holidays. 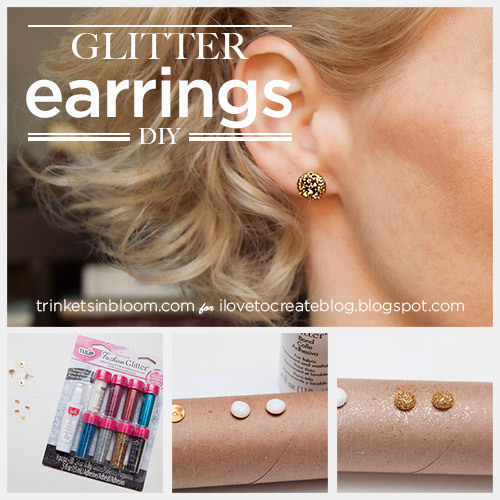 These DIY Glitter Earrings add tons of sparkle and are so easy to make you’ll want them in every color. 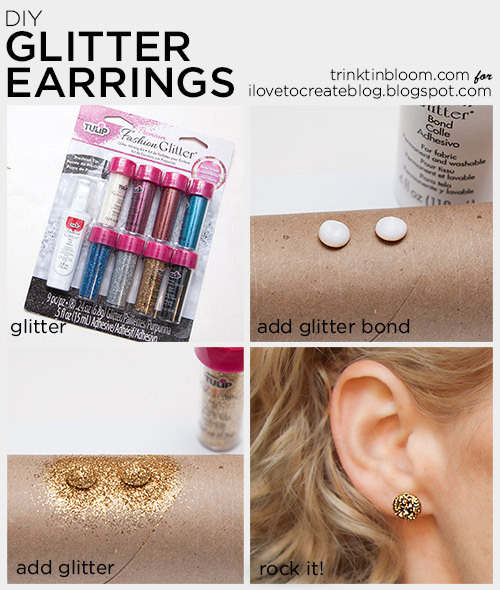 I’m using Tulip’s Fashion Glitter kit and Glitter Bond to make these you’re going to love this project. Let’s get started! I hope you like this tutorial, these are really fun and quick to make. And they’d make great gifts! Be sure to pin this project to make it later! For more fun fashion DIYs check out my blog Trinkets in Bloom. Great easy project - thanks! LOVE it Great Video Cathy! Once it dries does the glitter fall off? I hate when I touch something glittery and have it on my clothes, hair, house. I love the simplicity of it. It was quick and easy. I love the gold ones. Very elegant. A bit more detail would have been greatly appreciated. What did you use for the earrings. It was just a brief tutorial.